USPA Innerwear Regular Fit Drawstring ..
USPA Innerwear Regular Fit Heathered S..
U.S. Polo Assn. Denim Co. Mid Rise Reg..
U.S. Polo Assn. Denim Co. Heathered Kn..
U.S. Polo Assn. Slim Fit Cotton Lycra .. 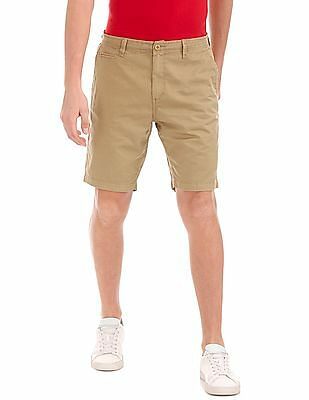 In the late 19th and 20 centuries, men's shortened pants were referred to as ‘knickerbockers'. Who knew that so many years down the line, these baggy pants that reach just till the knee would still continue to enjoy such widespread popularity, if not more? 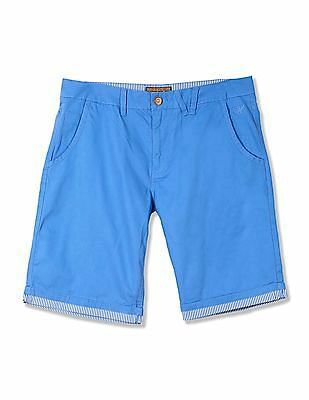 However, men's shorts have evolved tremendously over the decades. 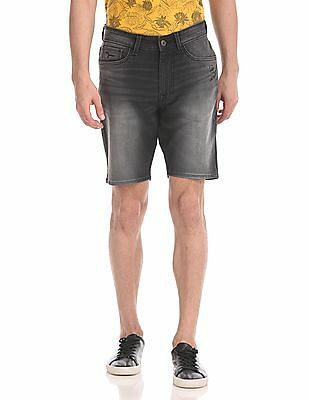 With CashKaro, you can shop for men's shorts online India from the top online retailers, and earn extra cashback in the process! You can also look for jeans for women at the various e-commerce sites that are on boat. 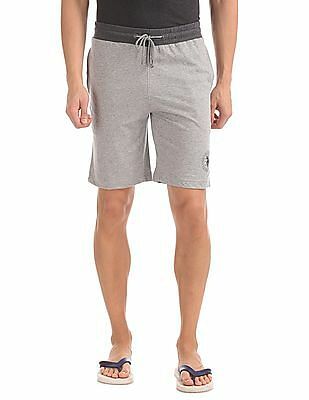 Earlier looked upon as mainly an athletic apparel, in today's times, shorts are viewed as a fashion-item of sorts! And there's no denying that one can hardly survive the summers without a few pairs at least! 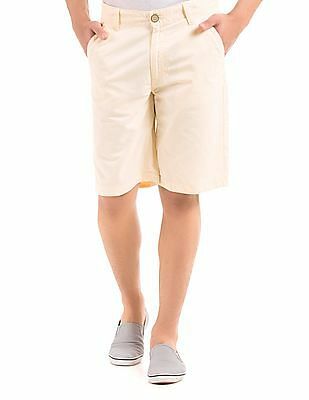 The cool comfort that these ensure has paved the way for their larger acceptance amidst men of all age groups. And why not? 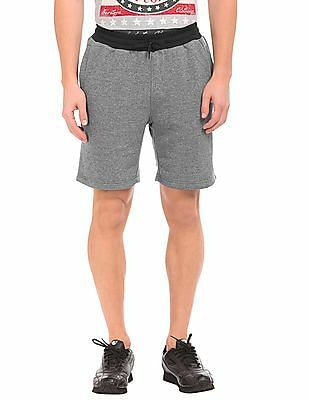 whether it is to beat the heat or just to feel freer for any recreational activity, men's shorts online are undoubtedly the best option. 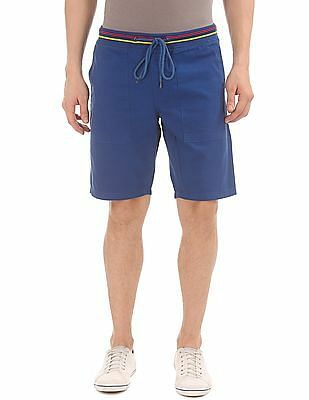 So, if you're heading for the beach, attending a casual private party, participating in outdoor sports, etc., men's shorts online shopping will come to your rescue wherever there's fun and relaxation involved. Being still a lesser worn piece of men's fashion as compared to formals and denims, it often becomes puzzling as to what length, pattern, fitting, and style should be chosen. 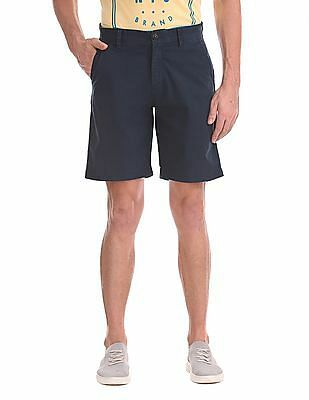 For athletic settings, shorts that reach up to mid-thigh are usual. 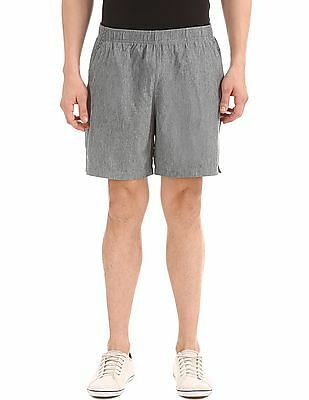 Shorts meant for jogging, running, or working out should be a little loose, so as to allow unhindered movement of legs. 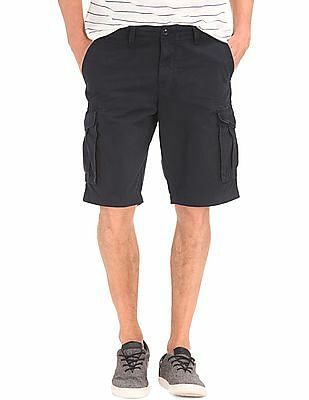 When it comes to hiking or outdoor activities, men's cargo shorts or safari shorts with side, front, and back pockets are hugely preferred for their coolness quotient coupled with the comfort factor. However, men's three fourth aren't the right pick for social occasions. Even though it has come to be a part of every contemporary man's wardrobe, make sure you don't end up wearing a pair to a party or for a family dinner. 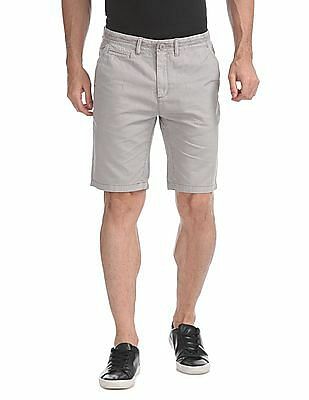 You can slip on casual footwear such as boaters and loafers as good companions to men's shorts online. 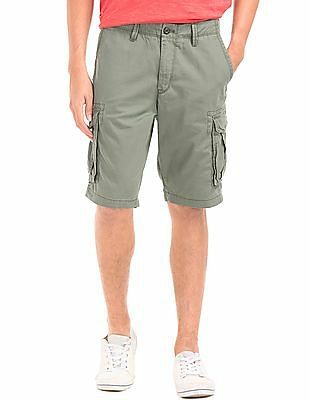 If you're wondering what to team with men's cargo pants, well, since shorts are casual, your top wear should also be in sync with that. Browse through the collection of t shirts for men online and take your pick. Collared short-sleeve shirts are the best choice if you want to look good but stay cool and casual. These can range from button-fronted to the basic monochrome polo shirt. Hawaiian shirts just like loud-print shorts, should be exclusively reserved for occasions where a little over-the-top tackiness is part of the fun! A long-sleeved, button-fronted collared shirt is astrict no-no. Even if you roll up the sleeves, it is too much of a stylistic mix-and-match. 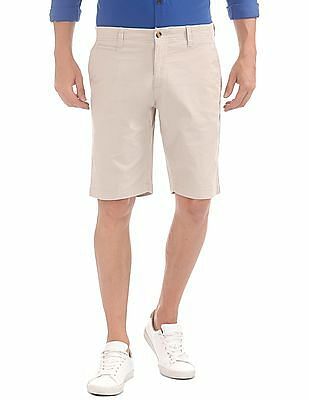 Solid colours such as tan, khaki, white, navy, olive, and off-white are the most traditional styles for men's shorts. 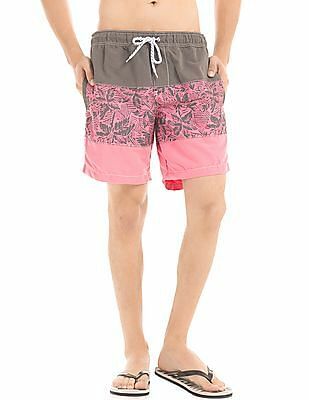 Shorts with louder patterns, popularly known as Bermuda shorts, should be saved for beach vacations. 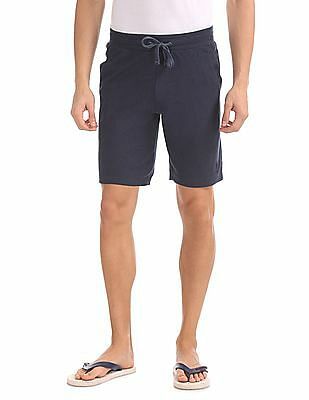 As far as the material is concerned, cotton shorts are the often the most loved by men, simply because they are lightweight and breathable. It is also the easiest to wash and dry without any special care. 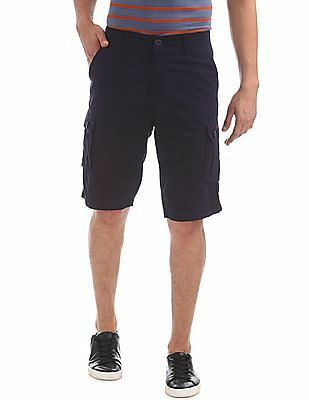 Line shorts are also quite comfortable and light. 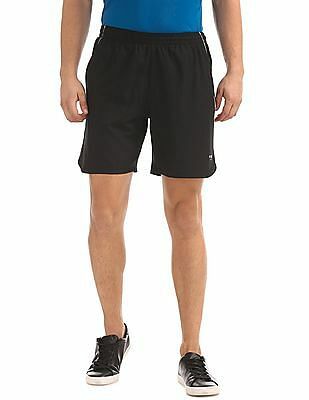 However, athletic shorts are mostly made of nylon or spandex. Alternately, you can also look for men's jeans which are any day a much more staple item for regular use. 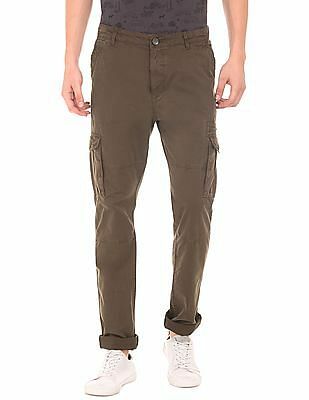 If you buy men's cargo pants from the top online retailers through CashKaro, you can enjoy the delight of extra cashback on top of every purchase. 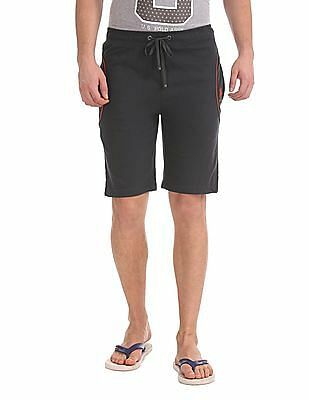 So, even while shopping for men's shorts online shopping India, you end up saving!